"Why are you helping me?" IFC Films has debuted the trailer for the indie drama The Free World, which premiered at Sundance this year, about a man fresh out of prison for crimes he didn't commit. He meets a woman with an abusive husband, and decides to risk his own life to be with her. Starring Elisabeth Moss as Doris, and Boyd Holbrook as Mo Lundy. The cast includes Octavia Spencer, Sung Kang, Sue-Lynn Ansari and Waleed Zuaiter. It seems like a solid drama, but I don't remember hearing much buzz about it during Sundance. As always, Moss looks to be giving a great performance and it might be worth it for her. Following his release from a brutal stretch in prison for crimes he didn't commit, Mo is struggling to adapt to life on the outside. When his world collides with Doris, a mysterious married woman with a violent past, he decides to risk his newfound freedom to keep her in his life. 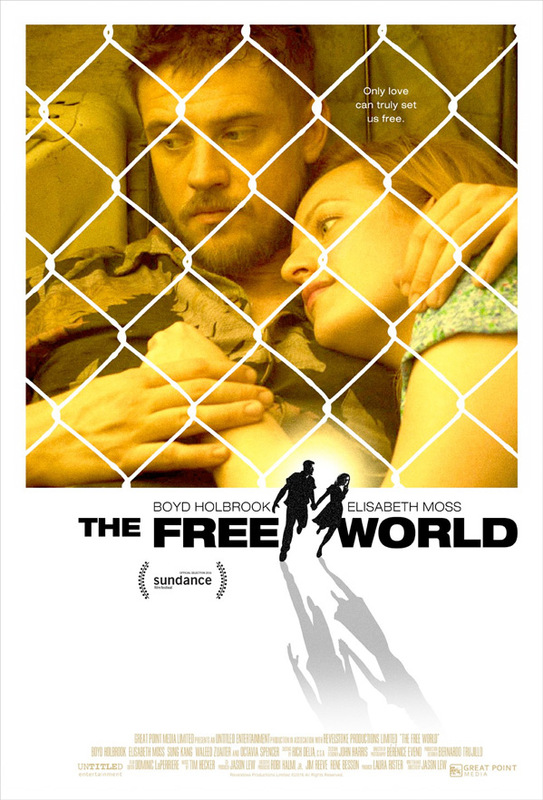 The Free World is both written and directed by filmmaker Jason Lew, making his feature directorial debut after writing the script for Gus Van Sant's Restless previously and acting in a few films before that. This first premiered at the Sundance Film Festival earlier this year, and played at the San Francisco and Seattle Film Festival. IFC Films will release The Free World in select theaters + on VOD starting September 23rd later this month. Thoughts? It's about time Moss start getting her filmography started.